8 seconds – that is the average customer attention span. With such limited time, how can your brand story have impact? BlueRush CEO Steve Taylor has the solution; personalized videos that grab attention and ensure your brand stays top of mind. Learn about the positive impact personalization and personalized video can have on your brand message. Whether for a specific campaign or year-round marketing plan, Steve’s advice will help you understand where to start and help you define a personalized video strategy for maximum effect. In your opinion, why is the industry so keen to weave personalization into brand communications? Everyone likes to be addressed personally. People like to feel special, and they are quick to disregard messages that don’t seem personally relevant. People only have time to respond to messages that have individual value. Not only this, but consumers are demanding personalization delivered through easy-to-consume media. Communications with both these elements are better received because that’s what customers prefer. Takeaway: Communicate with your customers in the ways they prefer. Personalized videos grab attention and ensure the most positive response. Why is personalized video growing so quickly as a marketing channel? I believe there are two reasons why personalization — and specifically personalized video — are growing so quickly. The first is that our infrastructure can now support this technology. When we started building websites back in 1995, our concern was bandwidth constraints. If those constraints had not been there, we probably would have started with video, so this is a natural evolution we’re experiencing as technology catches up. We’ve always known video is better than text, and personalized video is better than static video. This is the way people like to consume content, so it’s understandable and predictable that we are seeing this kind of uptake. The second reason we’re seeing growth in personalized video is that companies have invested incredible amounts of money in better understanding their customers. Personalized video is a superior mechanism to leverage that customer understanding and deliver truly contextual, engaging messaging. We can now create hyper-individualized content that contains easy-to-spot personalization like bank account details or phone plan information, and more nuanced personalization like colour scheme and narrator tone. Takeaway: Figure out what data you already have about your customers and leverage it intelligently in your personalized video strategy to serve up content with the highest likelihood of engagement and conversion. How can brands earn the greatest marketing ROI with personalized video? The best way to generate ROI from personalized video is to consider your entire digital journey and then think carefully about where in your infrastructure personalized video can have the most impact. If personalized video is considered just on its own, in a vacuum, then it is way less likely to be successful. The clients who see the highest conversion rates from personalized video have integrated the technology into broader messaging and campaign strategies. Takeaway: Consider your entire digital ecosystem before developing your first personalized video. The video should be woven into the digital journey and work to accelerate the flow of customers towards conversion or transaction. How can a business find the best place to start using personalization in their marketing strategy and infrastructure? 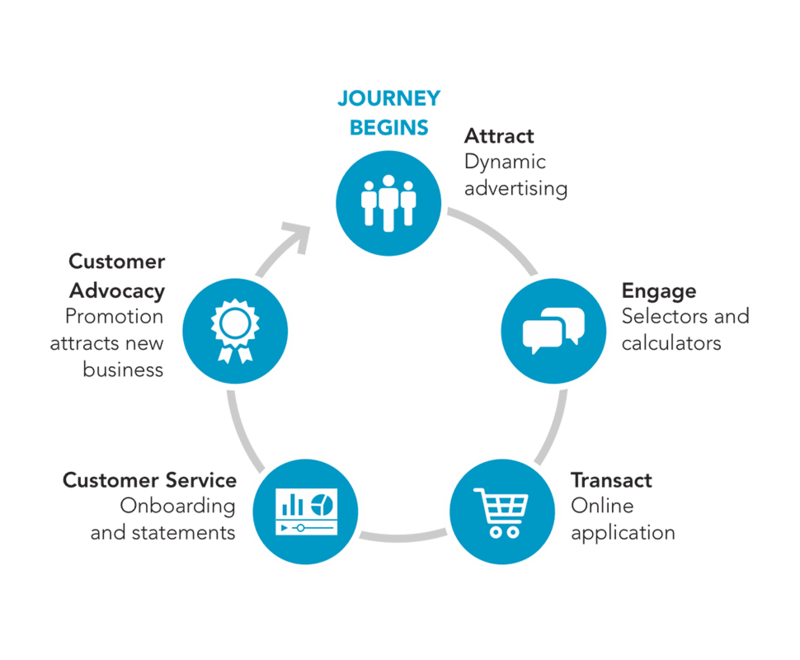 Start by mapping your customer journey. Have a really honest discussion about where people are dropping off and attack that spot first. Do you lose customers right when they get to your website, after they engage on a form, at a conversion point, or after they become a customer? It doesn’t matter where, but this analysis usually points to the best place to start. Another way to determine where to start is to look for your most critical KPI. Where can you drive the most value if you have a higher level of engagement or more conversions? Where would improving a KPI make you the most money? This is also a great place to start. Tied for first. Takeaway: Create your first personalized video by looking at your end-to-end customer journey. Find out where additional engagement or conversions can have the largest impact on your business and develop a video that sits at the junction. What are some major pitfalls that personalized video newcomers should avoid? One major pitfall that we see has to do with the landing page. If customers aren’t shown that a personalized video is available to them, they’re not going to click on it and therefore the opportunity for impact is lost. So, for new brands using this technology, remember to clearly indicate the presence of a personalized video. Another pitfall is not managing the call to action at the end of the video. Personalized video is incredibly engaging. On average we see 70% of viewers watch the entire video from start to finish. With personalized video, we give you the opportunity to say what you want to say to your customer. That’s what personalized video gets you – time with your customer that you can’t find anywhere else. Then the question becomes, what do you do with that conversation? In other words, where do you take them? If we use personalized video to tee up a conversion event, the next step needs to be high quality and consistent, otherwise the lead is created for no reason. You need to contextualize your customer’s data in your marketing communications, and you need to contextualize your personalized video in your marketing ecosystem. What happens before and after the video are equally important to the quality of the personalized video itself. Takeaway: Pay special attention to the marketing infrastructure that sits around the personalized video. For maximum impact, optimize your landing page to ensure peak video engagement and set up a digital flow that delivers customers a high-quality post-conversion experience. What do you see as missed opportunities for large or small brands using personalization? The biggest missed opportunity for businesses of any size is simply that they’re not using personalized video. As businesses we have this incredible technology available to us that can feed back customer insights and improve our marketing performance, and so many companies are not taking advantage of it. For smaller businesses who are using personalized video, I would say they need to recognize the versatility of this tool. Investing in personalized video should be part of a larger campaign to draw customers in and educate them about your products. A lot of businesses struggle to emphasize customer experience in their digital environment. Personalized video provides that elevated touchpoint and can be reused and repurposed across a number of channels to make the most of the technology. For large companies using personalized video, I would recommend a more strategic use of AI and predictive analytics. Often when I speak with larger clients, one of their complaints is that they have a large repository of data but no way to leverage it. Personalized video can be the conduit, allowing you to create extremely rich personalized experiences for your customers. You can also employ predictive analytics to develop an experience that grows smarter over time. This is a game changer and it can be done through personalized video. Takeaway: Architect a multichannel personalized video approach so that you make the most use of your video, generate the largest amount of consumption data and reap the highest ROI. Your video strategy should be firmly integrated with your marketing strategy. Can you tell us more about the role of predictive analytics in personalized video marketing, and how you see this role evolving over the next few years? There’s no doubt that personalized video is effective, but what’s most exciting is that we can use the resulting analytics to further enhance each experience over time. Personalized video is a living thing that gets better and better as we learn more and more about how consumers are engaging with it. We are creating a brand new slice of customer insight with the data that we get back from the personalized video. That data can feed into a broader picture of the consumer and create a superior predictive model. We can then lever off that predictive model to deliver even better personalized experiences. So there’s a virtuous circle there. Deliver the experience, learn from it, deliver a better experience, learn from that. Rinse and repeat. This iterative process becomes the foundational of a personalized video experience built for maximum marketing impact. Takeaway: Set up your personalized video infrastructure so you can learn and grow from your engagement data. For maximum impact, consider predictive modelling to enhance this process. Would you like to ask Steve a question? Contact him at steve.taylor@bluerush.com for an expert opinion on personalized video.